The Waterman Expert collection has evolved to be our best selling everyday fine pen. Why not? 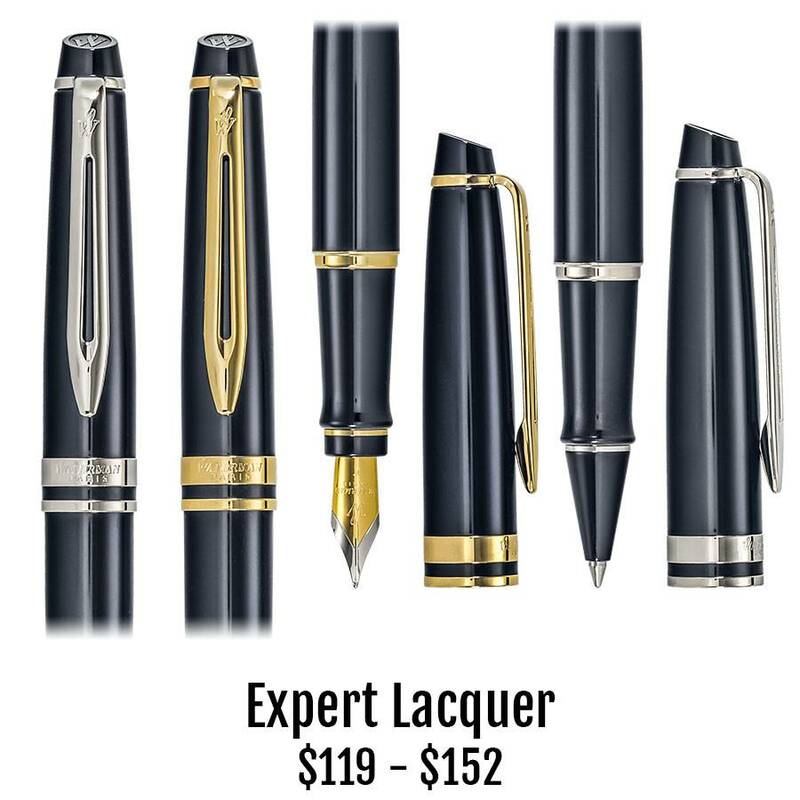 Seemingly miles deep black lacquer adorns Expert fountain pens, rollerballs and ballpoints with either palladium or gold trim. The feel in the hand is perfect, the shape is widely respected, and the look is pure classic. Expert traits. Expert fountain pens feature a fine or medium point steel nib with pronounced Waterman markings. Refill your Expert fountain pen with Waterman ink cartridges in a vast array of colors or use the included Waterman converter to load your own distinctive bottled ink. If your lifestyle better fits a Waterman Expert rollerball or twist ballpoint, ink is easily replenished with reliable Waterman refills.